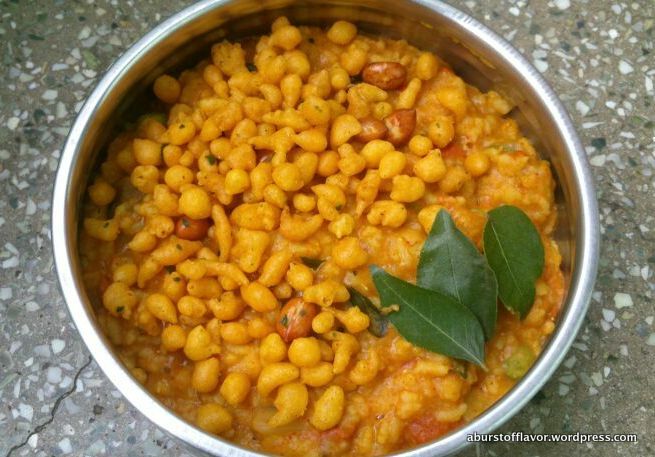 This is an authentic Karnataka dish – the name translating roughly into Hot Lentils Rice. 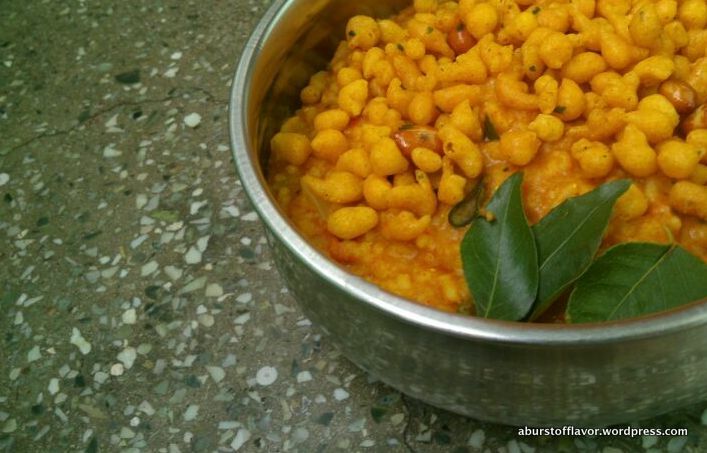 It is a staple breakfast/lunch/sunday brunch item in all Kannada households. Being from Bangalore myself, I love this dish in no small measure and we frequently prepared this at home on sunday afternoons 🙂 The tamil version of this is the Sambar saadham – different names, different combinations in different states of India. In essence this dish is a combination of Lentils, rice and a medley of spices which is delicious and nutritious at the same time. Added to our convenience is the fact that this dish is a one – pot dish. My sister K prepared this dish a few weeks ago and sent me the pictures, which I stashed away hoping to recreate this dish and blog about it in detail. I haven’t had the chance to make this dish from the scratch yet and take pictures, but I will this week ! I happened to chance upon these pictures today and decided to post them anyway 🙂 thanks K ! I couldn’t resist posting these pictures since they looked so delectable – but I promise that the recipe is coming soon UPDATED below !! The recipe is split into 3 different stages for ease of understanding and cooking. Wash the rice and dal well under running water and drain. Repeat 2-3 times until the water is clear and no longer cloudy. There should be no floating impurities. Cook the dal and rice in the pressure cooker with about 5-6 cups of water (about 2 and a half cups water per cup rice and the same measurement for dal), some salt and ½ a tsp of turmeric. Cook for 3-4 whistles. Switch off the stove but do not open the lid. Let the pressure dissipate. In a wide bottomed pan, heat the oil. Add the onions and capsicum and sauté well until translucent and tender. Add the tomatoes with little turmeric powder and sauté until soft. Now tip over your chopped vegetables and sauté for about a minute. Add some water just enough to immerse your veggies, and cook covered for about 6-7 mins on a medium flame, or until vegetables are tender but firm to touch. Remove the lid of the pressure cooker and pour this hot sambar over the rice/dal mixture. Mix well with a ladle until well incorporated. Add more or less hot water to adjust the thickness of the Bisi Bele Bhath depending on what consistency you prefer. Taste, add salt if necessary. In a small pan, heat the ghee. Once hot, add black mustard seeds and allow spluttering. Add curry leaves and allow crackling. Add the asafetida and switch off the stove. Add the chopped coriander to the bisi bele bhath. Now add this hot ghee tempering to the bisi bele bhath and mix well. Serve hot with Raitha and boondhi.